In this Game of Thrones giveaway, you win or you die. Man, Xbox France has all the best special edition Xbox One consoles. 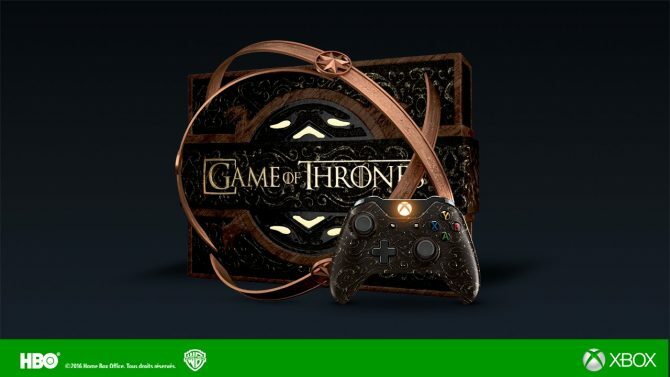 On the heels of the excellent looking Iron Man themed Xbox One, they are now offering a Game of Thrones themed Xbox One console to fans as part of a giveaway via their social media channels. The new console is styled after the HBO hit television series- and certainly, for the millions of fans who are now all hyped after last night’s incredible season finale (in my opinion the best episode the show has had yet), it’s something to try and get for themselves. To get the console, you just need to enter the giveaway, which just entails engaging with the post announcing the system on Xbox’s social media accounts- so like and Retweet their Tweet, Like and Share their Facebook post, like their Instagram post, and so on. Of course, you need to be a resident of France to be eligible, so there’s that you need to keep in mind. The rest of us? We can look at this console longingly and wish we could have one.